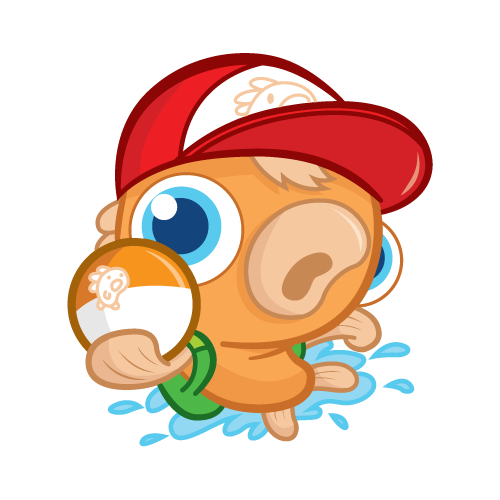 Browse > Home / Strategy / Articles / Mismagius' Brew: Drive, Drive! Welcome back to Mismagius' Brew! This series of articles is dedicated to crazy decks that are made purely for Timmys and Johnnys everywhere! Insane combo decks? Powering up large Pokémon? Powering up weak Pokémon? We've got you covered. 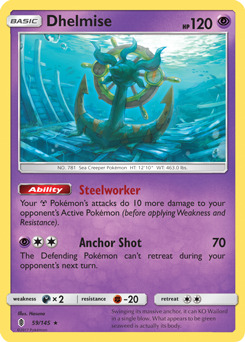 You guys voted, and last week's winner is Genesect-GX! Genesect is a pretty unique Pokémon with its Ability, Double Drive. 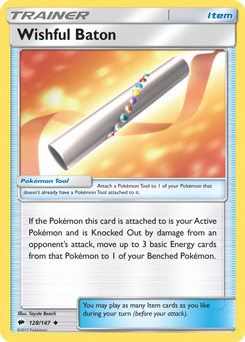 It lets you attach two Pokémon Tools to Genesect-GX instead of only one! Not being limited to a single Tool opens up a lot of options for Genesect, so what route are we taking today? I decided to use only 3 types of Pokémon Tools for Genesect. The most obvious two to add are Metal Frying Pan and Choice Band. 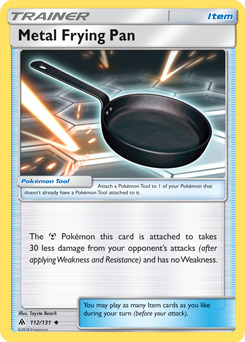 Metal Frying Pan is one of the best Tools for Metal-Type Pokémon right now, since it reduces damage taken and removes Genesect's nasty Fire-Type Weakness against decks like Blacephalon-GX. 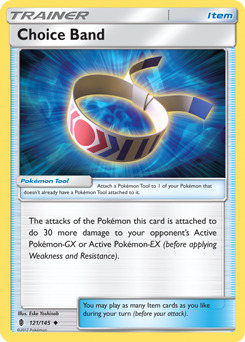 Choice Band lets us boost Genesect's low damage output, since Genesect-GX only has two attacks that don't hit very hard. Even Genesect's GX attack doesn't one shot Zoroark-GX without Choice Band! Finally, Wishful Baton creates some pretty clever plays with chaining together multiple Genesect-GX to beat down your opponent. Although adding Tools is a pretty cool concept, Genesect-GX is way too slow to keep up with most of the meta if we just run Genesect-GX alone. 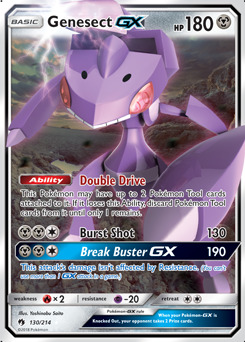 Burst Shot and Break Buster-GX both have a rough Energy cost of 2 Metal and a Colorless, so not even a Metal + Double Colorless Energy lets Genesect attack! So, we need to find a way to accelerate Genesect to attack on turn 2 to match the pace of decks such as Blacephalon-GX or Zoroark-GX. 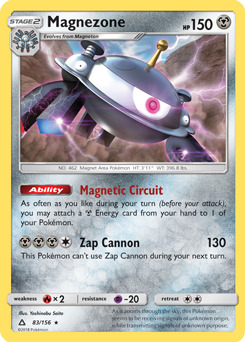 My first thought was to go with Magnezone UPR 83. 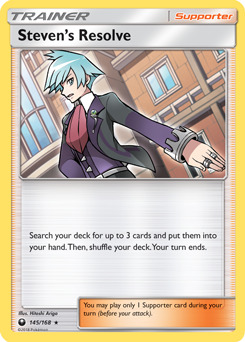 Using Magnetic Circuit, we can easily get all of our Energy to attack with Genesect-GX on turn 2, especially with the help of Steven's Resolve. 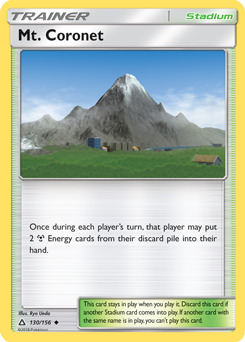 To go along with Magnezone, we're also running Mt. 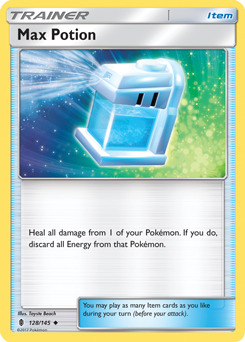 Coronet to grab Energy that we discarded from Retreating, getting Knocked Out, or discarding it to Ultra Ball. In addition, Mt. Coronet also knocks out our opponent's Stadiums like Shrine of Punishment to give us some extra breathing room. Okay, so now we can attack on turn 2. However, even with 2 Choice Band, Genesect-GX still doesn't hit the numbers we need. Again, Zoroark-GX is always rampant, and even Lycanroc-GX GRI 74 survives Burst Shot with an extra 60 damage tacked onto it. We need more damage! Dhelmise GRI 59 is the final card that we need to push our damage a little further. 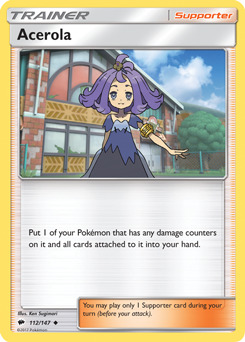 We're running two copies of Dhelmise specifically to beat Zoroark-GX and to put other Pokémon low enough just in case we can use Tapu Lele-GX to secure the knock out. The rest of deck is pretty straight forward. Cynthia, Lillie, Guzma, all pretty normal, except for Judge. We're running two copies of Judge to both reshuffle our hand and to mess up our opponent's hand, since our deck is vulnerable to fast, hard hitting decks like Granbull LOT 138. Some of you might be wondering why I didn't go with a stall, tank variant with Acerola and Max Potion, and the reason why is because Field Blower completely messes up a stall Genesect-GX variant. With only 180 HP, without Metal Frying Pan Genesect-GX loses to a lot of attacks in the meta. Since we have no way to recover if a Genesect goes down, we're going the damage route instead. 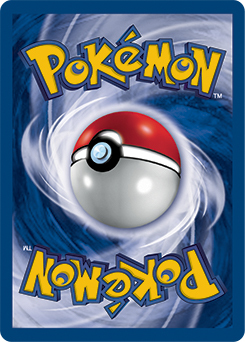 [C][C] Tool Drop: This attack deals 30 damage for each Pokémon Tool card attached to Pokémon in play (both yours and your opponent's). It's very similar to Trubbish PLS 65, which saw a lot of fun play when it was in Standard, and even now in Expanded! That's it for Mismagius' Brew! What do you think about Genesect-GX? What kinds of crazy cards would you like to see me build around in the future? For next week, we're going to Expanded, so I have a Strawpoll with a few options for you all to vote on! Thanks for tuning in, don't forget to message me on @adischordintime, and I'll see you all next week for another Mismagius' Brew! 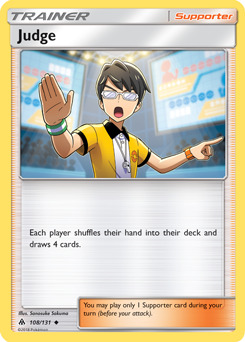 Kobe goes over an Expanded deck featuring Victini and a very plucky chicken.